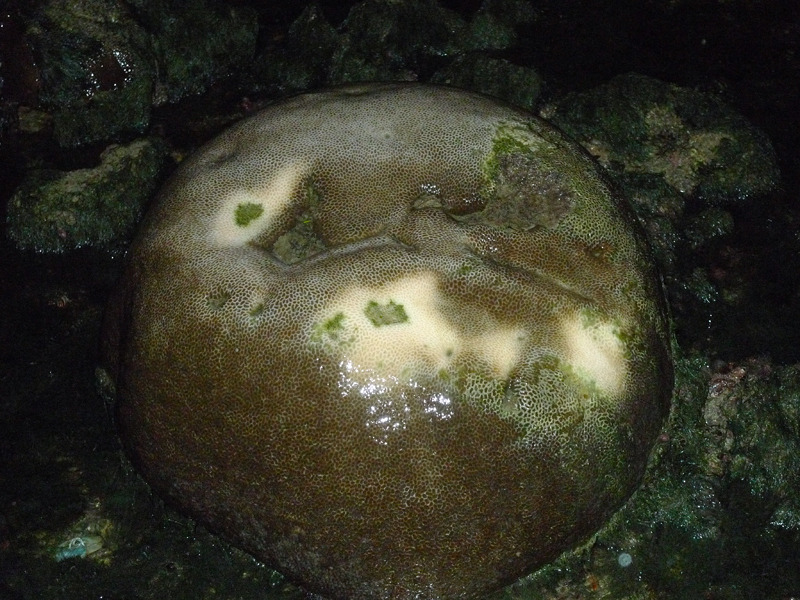 Today I had my first taste of shore visit at Pulau Subar Laut, a.k.a. Big Sister Island. 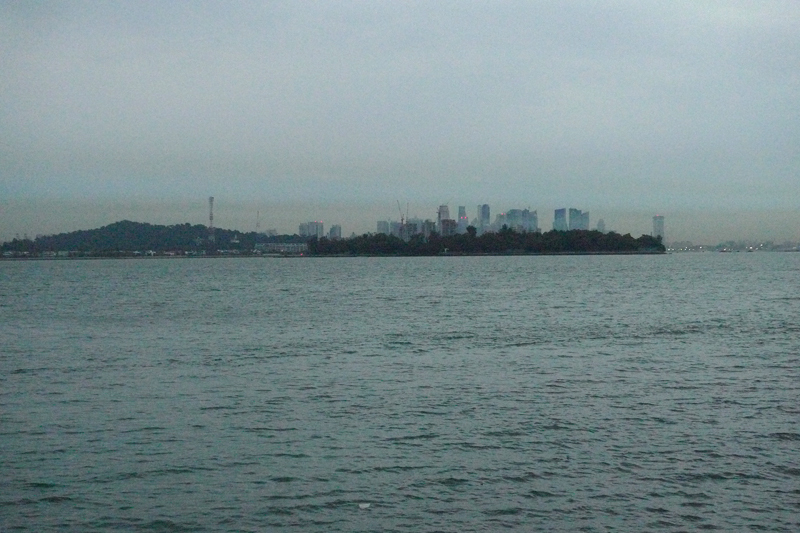 Sisters Island is one of the many southern islands in Singapore. It is next to St. John's Island. 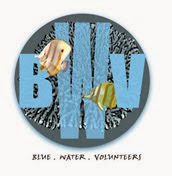 Knowing the tides is very important to shore visit to avoid being stranded in deep waters when the tide comes in. Today's trip had to start as early as 3.30 am. I was worried that the trip might not be able to take place as it was pouring heavily at that time and lightnings were threatening. Thank goodness, the rain stopped when we boarded the boat but small drizzle came on and off during the trip. 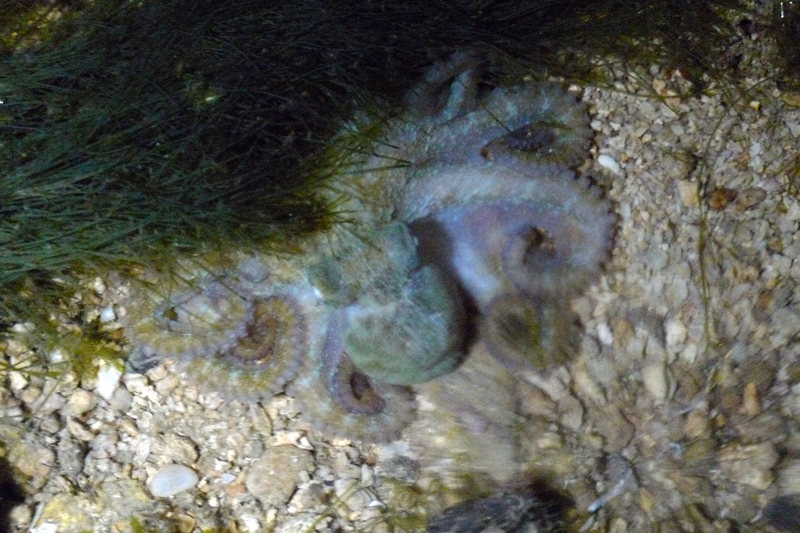 My first marine creature encounter is a small octopus. Its width is slightly smaller than the length of my compact camera. The image is quite blur as I was still adjusting to the dark environment and handling lights and camera at the same time. 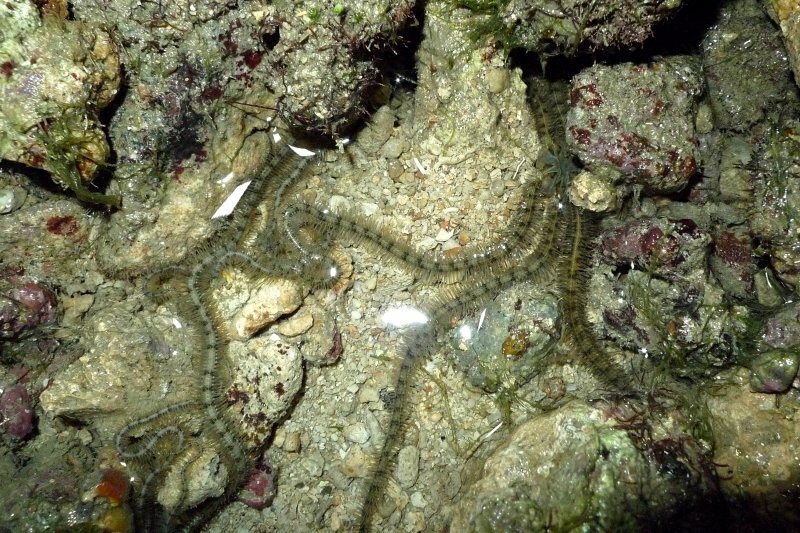 The highlight of this trip for me was to actually find and see the brittle stars personally. The brittle stars are very sensitive to light and fast in movement. 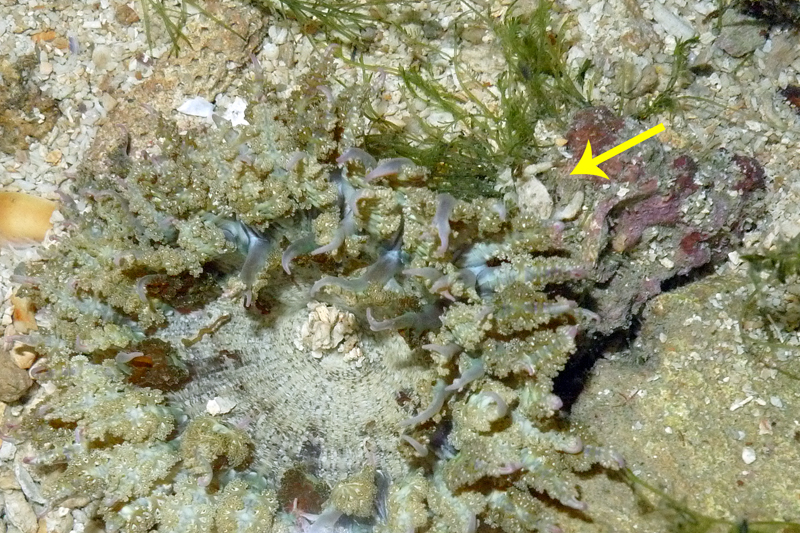 Nonetheless, I did manage to capture 2 bottlebrush brittle stars with 1 of their legs holding onto each other. 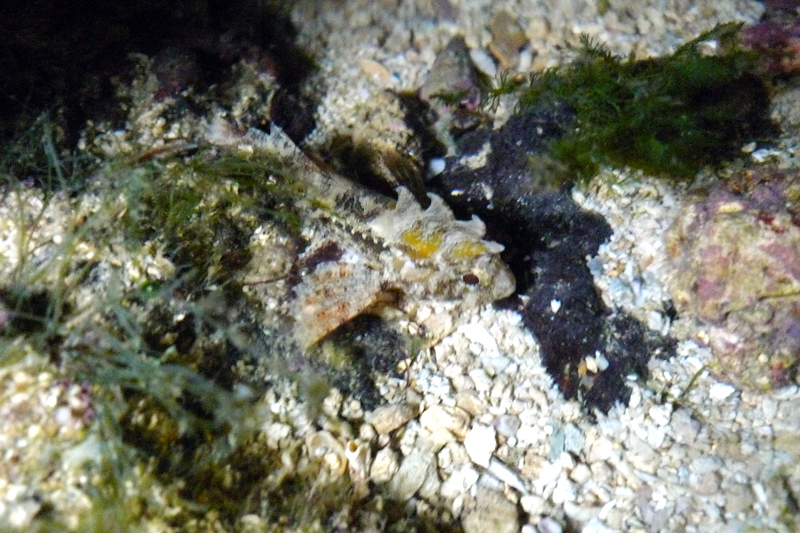 Next to an anemone, there is a tiny white crab (yellow arrow). 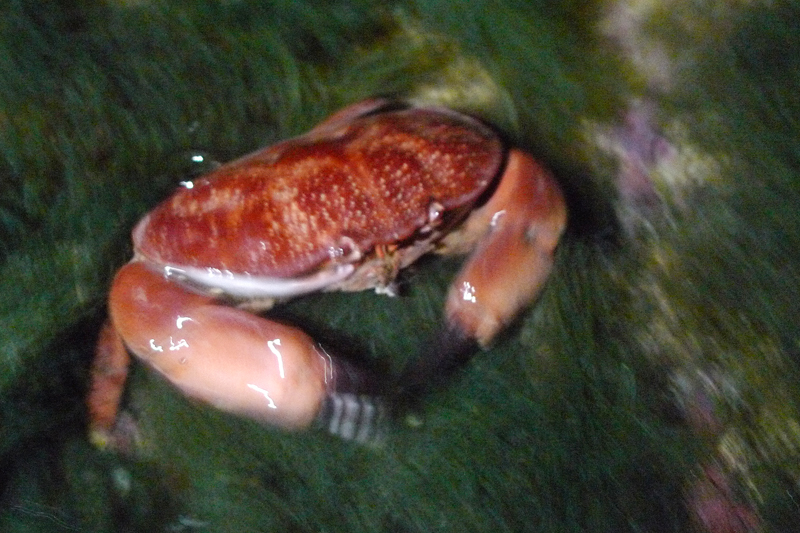 The crab is about the size of my finger tip. In this lagoon, I spotted 2 false scorpionfish [update: they are the true scorpionfish]. 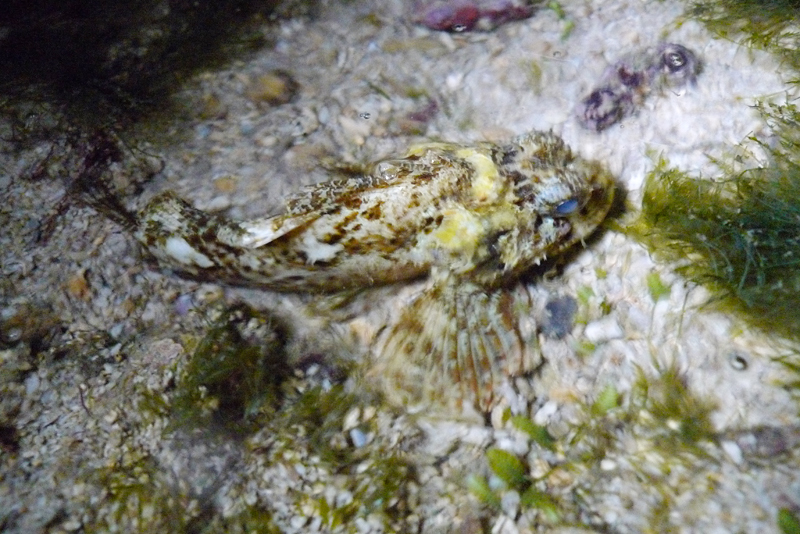 This fish belongs to the Family Scorpaenidae. 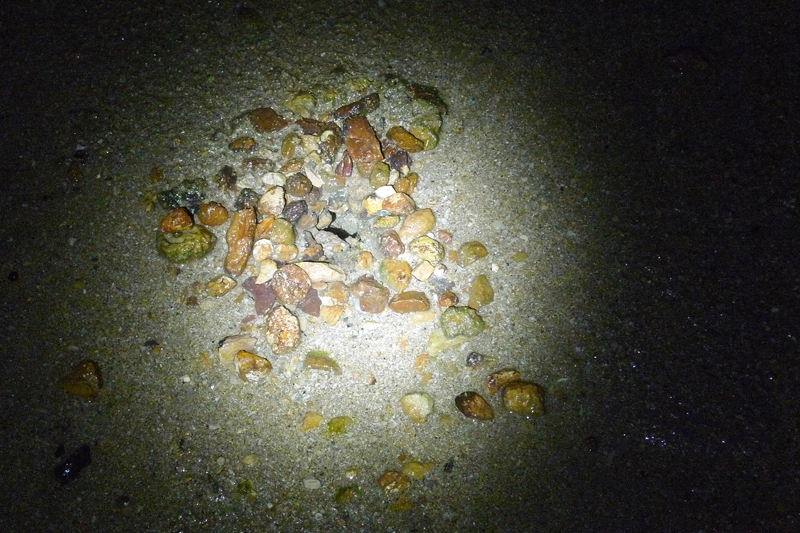 Like every shore, the clicking sounds come from the pistol shrimps "drawing" their pistols. 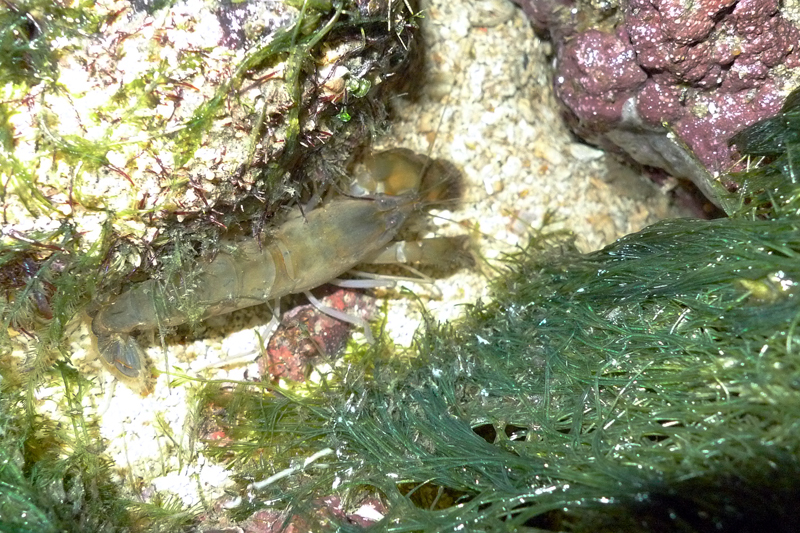 I experienced the loudness of the pistol shrimp with one snapping just to the right of where I was squatting. It sounded like an empty can being dropped. 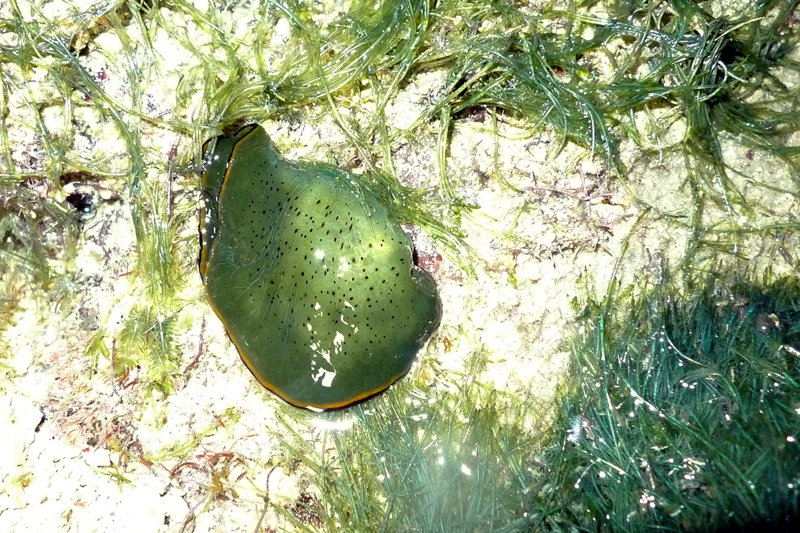 Among the seagrasses, I found a leaf slug (Elysia ornata). 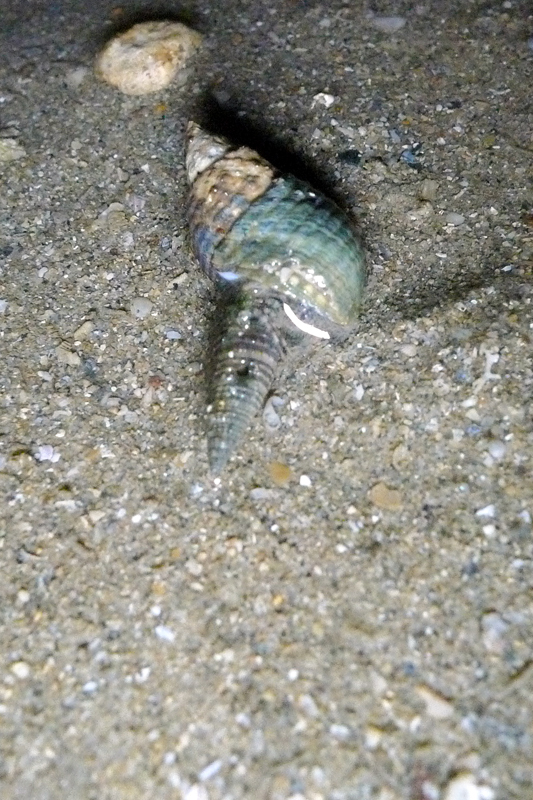 On the high shore, I noticed a snail that looks like a drill feeding on a snail. 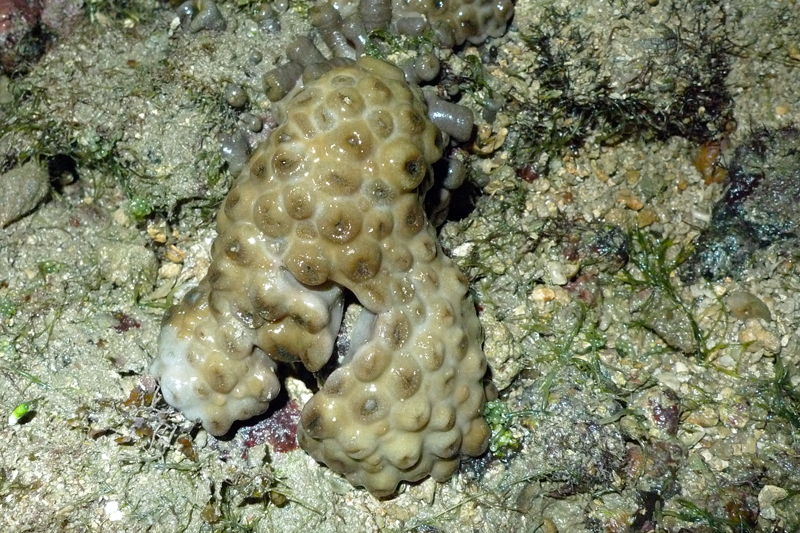 The eaten snail has drilling holes on it. 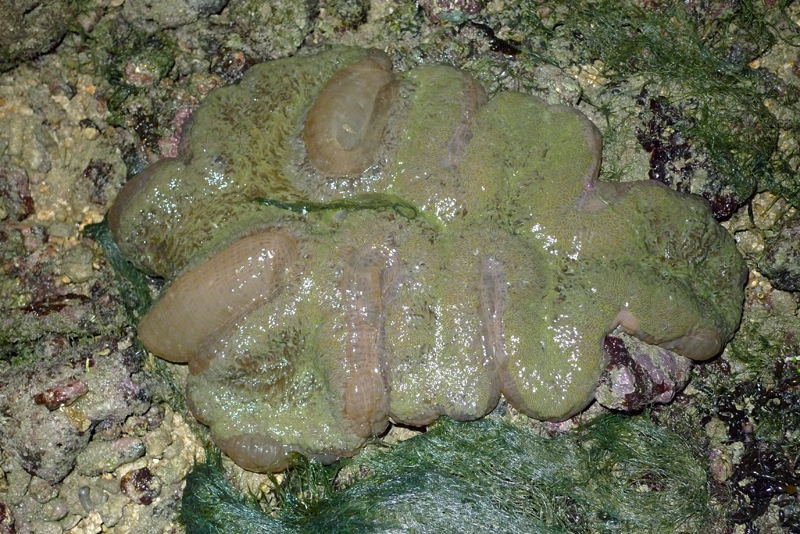 Marine animals are so interesting. Even the front entrance to their house needs to be decorated. 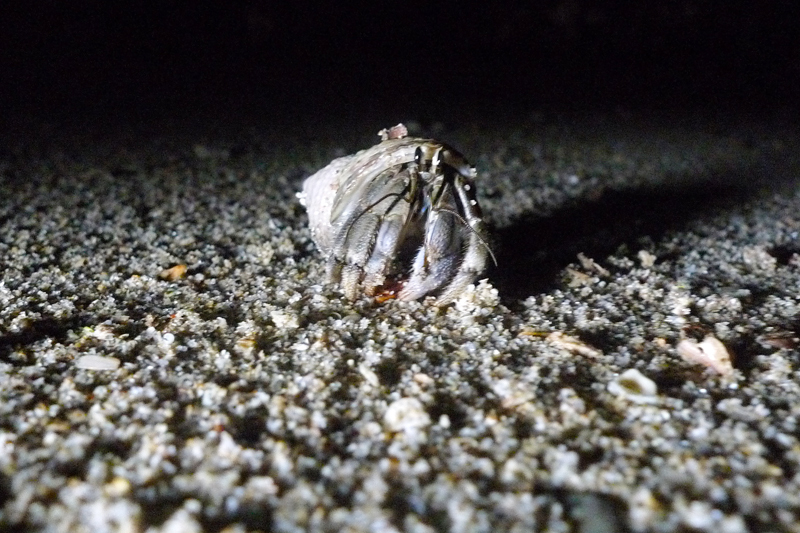 The best way to end the trip is a hermit crab. 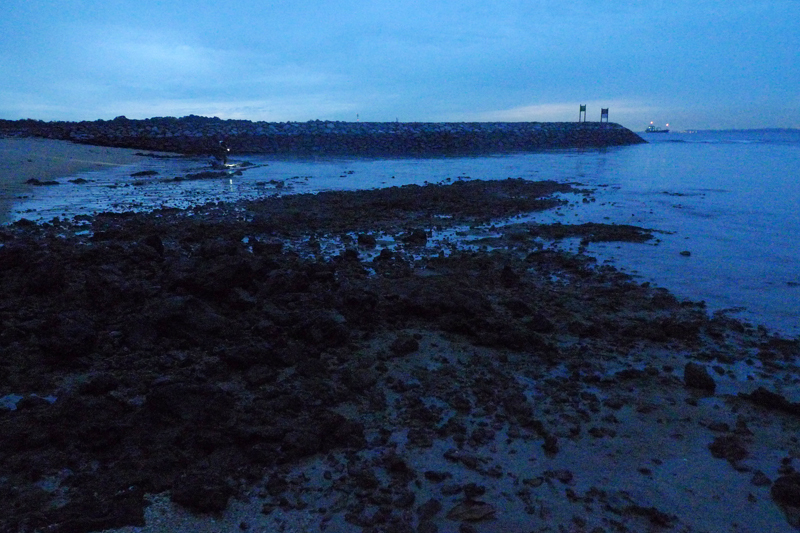 Soon the tide was slowly rising and we ended our trip before sunrise. 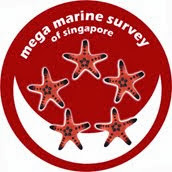 While waiting at the jetty for the boat to arrive, Geraldine noticed coloured layer on mainland Singapore. Ria mentioned that this is pollution. The pollution particles are not dispersing due to the weather. I will be back at Sisters Island tomorrow for more exciting sightings. Tomorrow, I will be visiting Little Sister. Hope to get better pictures tomorrow. I did not use my dSLR due to the rain.